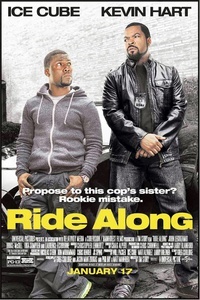 Ride Along is a 2014 American action comedy film directed by Tim Story and written by Greg Coolidge, Jason Mantzoukas, Phil Hay, and Matt Manfredi. The film stars Ice Cube, Kevin Hart, John Leguizamo, Bryan Callen, Tika Sumpter and Laurence Fishburne. The film was released January 17, 2014. This webpage uses material from the Wikipedia article "Ride_Along_%28film%29" and is licensed under the GNU Free Documentation License. Reality TV World is not responsible for any errors or omissions the Wikipedia article may contain.